So truth be told, I’ve long envied the gorgeous photos in the catalogs I receive with expertly groomed and organized rooms for children. Especially the well thought out rooms for little boys. 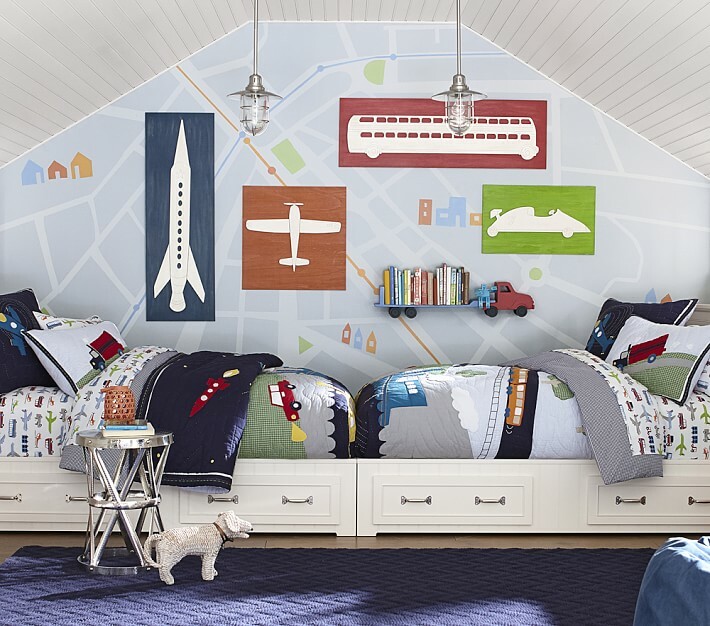 Being that we’re transitioning our boys to sleep in one room (and keeping the other spare bedroom for a toy room), I thought it would be fun to highlight some really neat ideas for organizing a bedroom for two brothers. 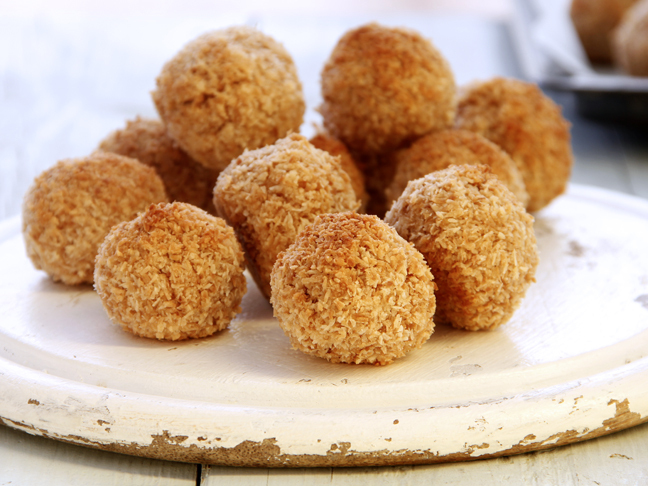 These fun ideas will promote a sense of brotherly love and personal space—and hopefully keep sibling squabbling at bay. 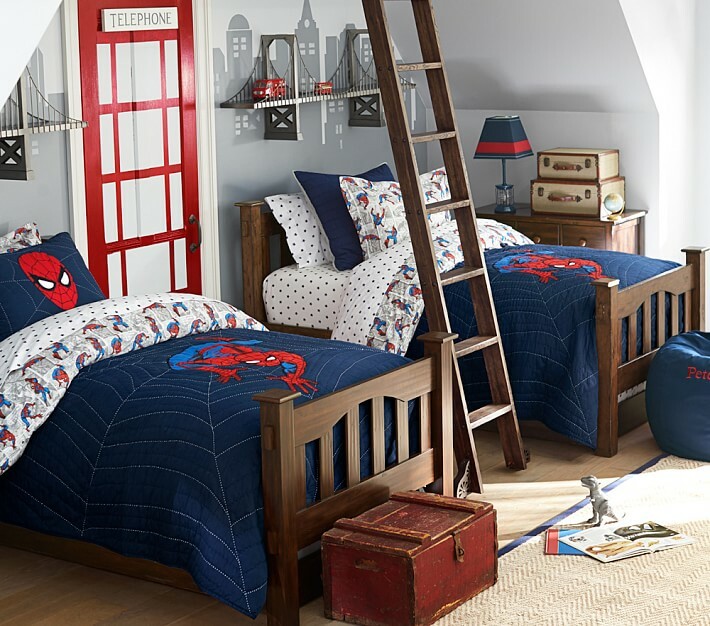 First things first, select a theme and stick to it—like this Spider-man room from Pottery Barn Kids. 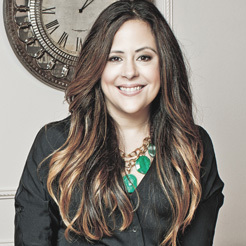 This will make styling and buying for it that much easier. Decorating will be less stressful when you’ve freed your mind up for creativity and personal touches by settling on a theme both your boys are excited about. Versatile beds like these are a great option for shared spaces. These are from the Belden Collection, and they offer loads of extra storage space. The clean white lines also allow for placing the beds facing one another (as shown here) or side by side. Available at Pottery Barn Kids. 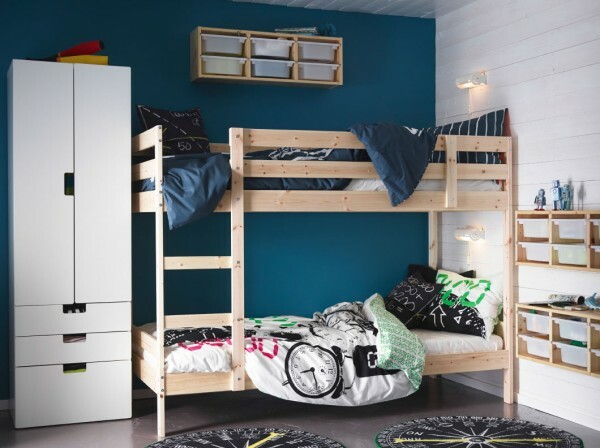 Bunk beds are always a fun option, and I’m really in love with these versatile L-shaped bunk beds. 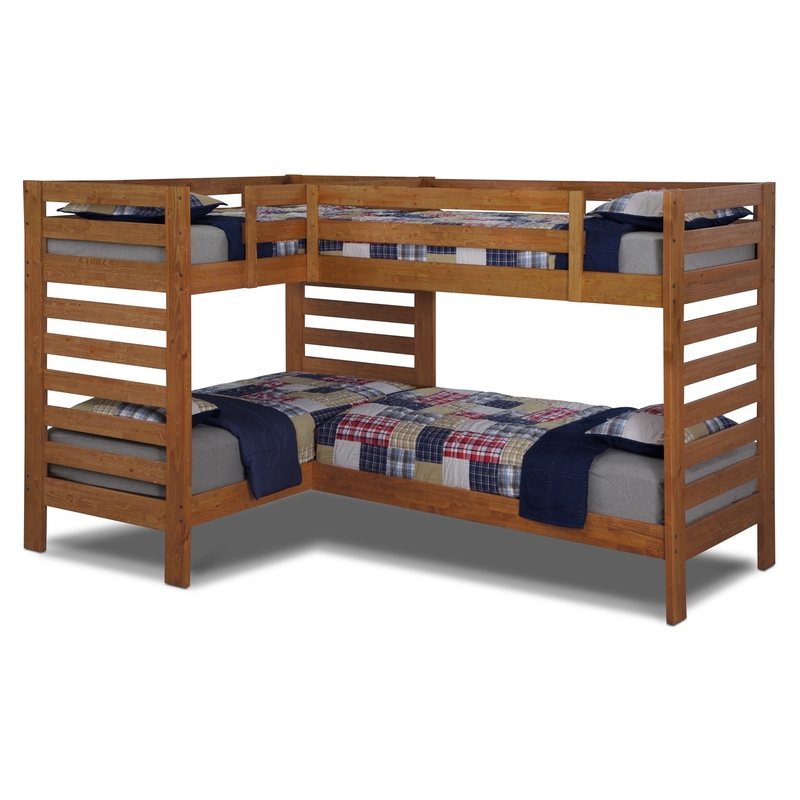 This Alpine II double twin bunk bed withstands the wear and tear of kids and is configured to be sleepover ready. Available at Value City Furniture. 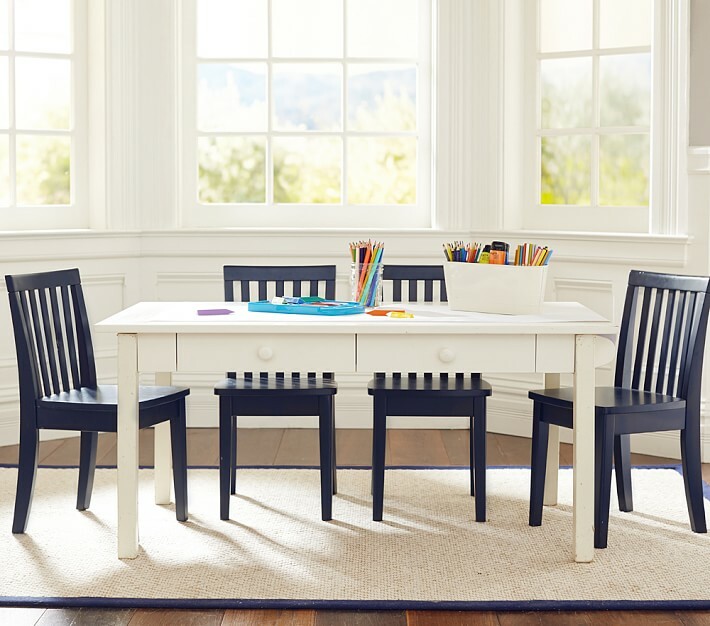 Create a fun common area for reading, creating, and doing homework with a mid-to-large-sized table and chair set. Available at Pottery Barn Kids.